At Temple Isaiah we look to each day as a time of growth, fellowship, and the sharing of a common goal - to continue the traditions and community that we hold dear - to provide a warm, welcoming atmosphere that offers our community the hospitality that makes us a family. Temple Isaiah welcomes all who desire to grow spiritually with a strong identification with the Jewish people, both past and present. Temple Isaiah will hold a community potluck Seder on the first night of Pesach, Friday, April 19, at 6:30pm. Please RSVP via Email. A return email will be sent with event details. community events, and a place where we all grow in an understanding of Jewish life, customs, and traditions. Join the Sisterhood for Mahjongg 101! If you've played for years, or never played before, you are welcome. Everyone helps each other to learn and enjoy this amazing game. Email TempleIsaiahOC@aol.com for details. 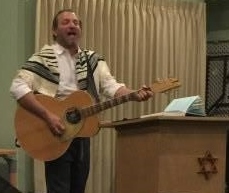 The Jewish Collaborative of Orange County develops innovative Jewish programs.